Compression Garment, Compression Therapy, Buy Compression Wrap, RSOCV001, RSOCV002, RSOCV003, RSOCV004, RSOCV005. 3 Inches Wide - SHIPS FREE! 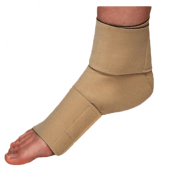 CircAid Comfort EZ Single-Band Ankle-Foot Wrap, manufactured by Mediven, are excellent compression wraps that can fit almost any foot shape day and night. 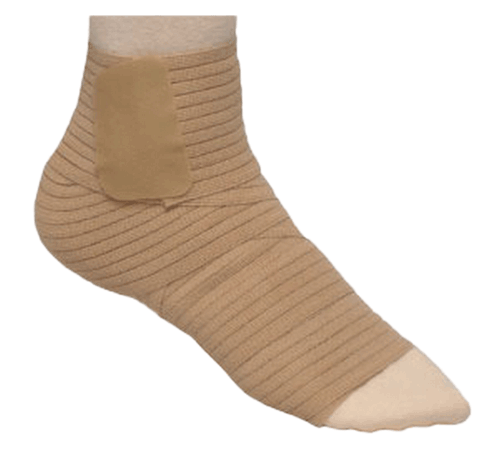 Pairable with compression garments for additional support, the Comfort EZ Single-Band Ankle-Foot Wrap is perfect in getting the most out of compression therapy. 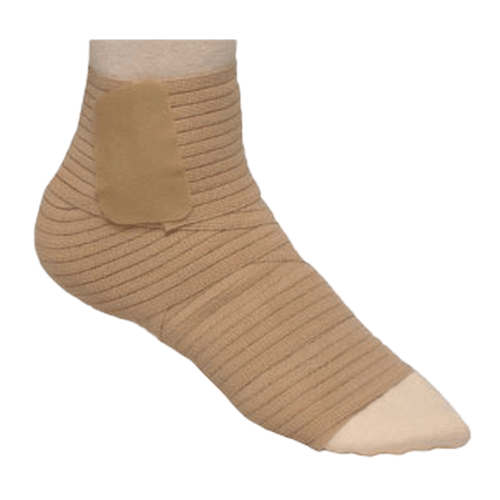 Offers compression to both foot and ankle. 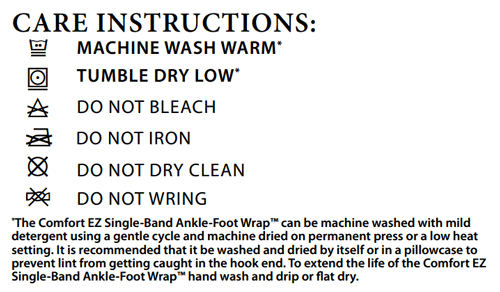 Comfort EZ Ankle-Foot Wrap Use Instructions includes directions for use and care instructions. CircAid Inelastic Static Compression Garments offer consistent compression regardless of position or movement. Dynamic Compression for Inelastic Compression Garments provide improved venous hemodynamics and edema reduction. Inelastic Compression Technology is used to treat lymphedema and venous disease better than elastic compression is able to accomplish. Circaid Compression Therapy FAQ's covers typical and frequently asked questions about compression therapy garments. Clinical References for Inelastic Compression Garments offers study results since 1996 for compression therapy results. CircAid Compression Garment Warranty covers the warranty policy for Juxta-Lite Standard Leggings, Juxta Lite Ankle-Foot Wrap, Comfort Compression Anklet, CircPlus products and Ancillary products.